I’ve been down for the count with the worst case of the flu in decades, and I am just now recovering from that foul virus. Why that poor excuse for a life-form should choose to pounce on me is hard to fathom. I mean. There I was… minding my own business …and then WHAM! I was down, and wondering what hit me. So, I’m afraid that you won’t get much in the way of insights on Israel from me, other than in-depth comments on the brilliant shade of white that is standard for interior walls here in Jerusalem. Here’s hoping that next week will allow me to offer something more pithy and interesting about the hustle and bustle of Israeli life. Of course, it’s not like there isn’t enough dire news to keep us entertained. Russia & Iran forge military compact as Iran & Hezbollah vow massive attacks on Israel’s northern tier. AND, their arch enemy, King Abdullah died, unleashing massive speculation about the imminent arrival of the Mahdi. And, if this Mahdi delays his arrival, Iran is primed to help make the way, by bathing the world in death and chaos. According to Shiite hadiths, after the death of a king named Abdullah in the Hijaz — a western region of present-day Saudi Arabia — no successor to the throne would be accepted, and disagreements would escalate and persist until the rise of Imam Mahdi. This means that Iran feels anointed with a messianic duty to ensure that this prophecy by Muhammad comes true – and in the way that benefits them the most. In fact, they’ve had more than nine years to prepare for this moment in time. It makes me wonder what plans Iran has for us. So, let’s turn to Iran’s benefactor, Russia. What a superb international game Obama is playing. He has Russia so diplomatically isolated that she has only managed to do major deals with tiny countries like China, Iran and Turkey. What we are seeing is the start of the formation of that grand alliance called Gog and Magog. America has backed Russia into a corner and forced her to make alliances with people that the Russian Bear had been keeping at arm’s length. But now, Turkey and Iran are being brought firmly into Russia’s sphere of influence. These deals would NOT have happened, if the United States and Saudi Arabia had not chosen to play games with Russia. What a bunch of incompetent, evil-hearted fools. What is an American soldier, dressed as an officer of the Ukrainian army, doing in Mariupol, just after a rocket attack on that city? I smell a rat, and you should too. There was no tactical or strategic benefit that the ‘rebels’ of Donetsk or Luhansk could have gained from attacking the civilian center of Mariupol. And then, just afterwards, an American officer shows up to survey the damage. America is stoking the fires yet again, and it is a diabolical evil. I’m afraid that when Russia and China destroy America, it will be no more than she deserves. The first sign – failure of all means of communication, full discharging of batteries in vehicles, tanks and other equipment, at the same time, discharge of batteries in mobile phones, the targets, and radio stations. Then, there is a rapture of electric circuits throughout all the equipment – all of it. This is EMP. All engines stall, no way to restart. This is how the system “X” works (in order to protect the author we do not specify the name), with a range of up to 20 km. Second – complete failure of all systems using LCD monitors, the failure of all target-locating devices of the air defense system. This is how the complex “Altair” works (this is a known complex in the world, we can name it). Third – a failure to deploy any kinds of guided missile weapons – from MANPADS to PTURS [anti-tank guided reactive missile]. Upon launching, the ammunition liquidates itself. Those are the words of an active duty officer in the Russian armed forces. Did that send chills through you? It should, because the American armed forces are NOT ready for directed EMP weapons. And, where such weapons exist as a part of front-line battle units, you can bet that they are standard throughout the Russian military. More importantly, this indicates that EMP weapons are a part of Russia’s strategic doctrine. 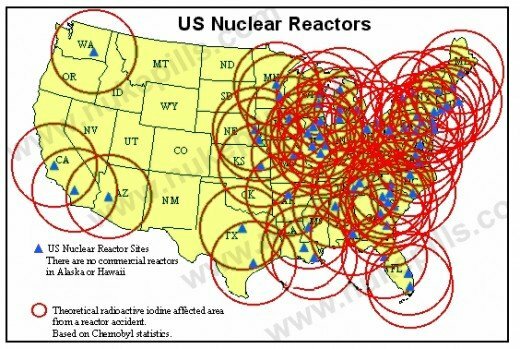 An EMP attack upon America would kill far more Americans in a far more awful way than a more ‘traditional’ nuclear war. We Americans are going to lose World War III, if we cannot get our diabolical leadership in Washington D.C. to stop their mad games of empire. Whatever you may think of George Friedman, no one can fault his grasp of the geopolitical implications of our current situation. This happened the last time the financial system crashed, so it’s proof that people never learn. But, I’m more interested in another bit of fascinating evidence. Under the deal to be signed on Wednesday, China will give Switzerland a quota of 50 billion yuan (about $8 billion), under its Qualified Foreign Institutional Investor (QFII) scheme to support the establishment of the Zurich offshore RMB market. The first branch of a Chinese bank will be set up in the Swiss financial hub for future RMB clearance after it gets approval from regulators of both sides. Do you think that China would have gone ahead with this deal, if the Swiss Franc was still married to the Euro? Of course not. China isn’t stupid. So, you can bet that China put pressure on Zurich to let the Euro go. And, it must not have been a difficult decision to make. After all, the choice was between a Euro linked to collapsing economies with no future, or a Yuan backed by the brightest economic powerhouse on the planet. And then, let’s not forget the coming exit of Greece from the Eurozone. The big win in Greece by the Syriza party is very, very bad news for Europe. Syriza will demand a better deal from Brussels, and if they get that ‘better deal’ – everyone else will want one too. If Syriza DOESN’T get their ‘better deal’, they’ll leave the Euro and default on all their debts. Either way, Europe will fall apart and the financial shockwaves will be felt in every bank account in every country, around the world. More specifically, in YOUR bank account. Can you hear the dominoes fall? I contacted you last fall or so about coming on The Manning Report. Dr. James David Manning is the Pastor of the Atlah Worldwide Ministries of which I am a member and a regular guest on his show. Since we have first made contact Dr. Manning has gone on live radio in Dallas TX and Titusville FL (Orlando and Cape Cav.). I think you would be a very good fit for our audience. We have a very sophisticated group of listeners and very savvy to current events. Please let me know if you are still interested and I will set it up. Best wishes and I am glad you are back in Israel. I don’t really know why, LOL, but I am happy about it anyway. I am still interested in being on Dr. Manning’s show. I have watched and listened to his show a number of times, and I am impressed with the strength of his character and his wisdom. It would be an honor to share my thoughts with him and his audience. A lot has happened since we last communicated, so it might have been fortuitous that there was a delay in my appearance. There are some truly difficult days ahead. Well, I have family living there, and they wanted to see me. More importantly, I was there to try and understand the Lord’s calling vis-a-vis Jerusalem. I hear the Lord calling my wife and I – back to Jerusalem. The question revolves around when we should go back. For now, we have returned to Taipei, Taiwan – serving the Lord in the best way that we can. Let me know what the next steps would be, in terms of my appearance on The Manning Report. God bless you for your persistence in reaching out to me. I have not given up on hearing you on The Manning Report. Dr. M would enjoy having you as his guest but he is an extremely busy man. Running a church, a school and a broadcasting network. And that is just a fraction of what he does on a daily basis. I’m sure you most likely know all too well how busy we are these days getting the truth out. Dr. M has been preaching live every day 9:00 am-12:00 pm est. I do not know the time difference but could you call Dr. M and give him my name and see what you can arrange. Got the Flu. Check out USANA.COM. I can help you with that. The mind of man says Amer ica will be destroyed because she is become evil and deserves to be. Furthermore, it piously claims this is what God has declared. The original English (West Germanic) speaking people, for better or for worse, are responsible for 90+% of the Gospel/missionary, Great Commission work done on the earth. The same “white kings” of Psalm 68 who “publish” the “word” (amer). This is the meaning of Isaiah 44:8. Yes, English speakers HAVE spread the gospel throughout the world. But, we have passed that baton on to others. And, we have gone on to corrupt ourselves. I wish that I could agree with your positive views, but our sin is to great to ignore. China is going to fail this year. It has no way to continue to prop up its overdevelopment any longer. As Japan continues to slide into bankruptcy it will take all of the western economies with it. So it will be a total economic and financial collapse of the entire world. To fore stall the inevitable, all of the nations will make make an arch enemy out of all the religions in a last gasp effort to continue continuing. This will bring on slaughter on a scale never before seen. It will be the Great Tribulation which Jesus spoke about. It will be ended when God’s own people are attacked. At that point God will step in, through his holy angels, and destroy the nations, including the US and England, and their violent offspring, the United Nations. Dear Leader promised to change America. I mean really. It sounds like you wrote it! Ararat (Turkey), Minni (China) and Ashkenaz (Russia). And this Alliance – between Communist Red and Shiite Islam is probably the “Iron and Clay” toes of Nebuchadnezzar’s dream of a statue in Daniel. “AMERICA is BABYLON Brother” – and because she “Opposes G-d” —- her UTTER DESTRUCTION is nigh…..
And NO ONE WILL EVER LIVE IN HER AGAIN! Because after the Surprise Attack – she will be a Radio-Active Wasteland! AFTER BABYLON BURNS – then these nations will go after Israel only to be confounded/destroyed on/in the Mountains of Israel (Armageddon). The Destruction of BABYLON (AMERICA) begins tribulation. Make no mistake. You’ve been saying it yourself without saying it…. The destruction of America will NOT begin the Tribulation. Plus there are TWO battles of Gog and Magog. The first is years before the Tribulation. The second is AFTER the Millennium. Unfortunately, Ezekiel’s Fire will be far, FAR worse than the destruction of Babylon.